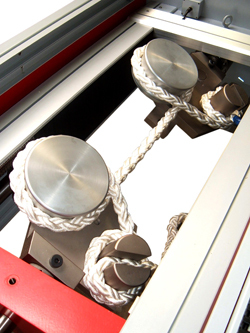 Capstan & Clamp Grips – Testometric Co. Ltd.
Testometric capstan grips are specifically designed to give trouble free clamping of flexible round section material including, yarn, cord, rope, wire, cable etc. These involve a capstan principle that provides a frictional resistance so that specimens do not break at the clamp point. 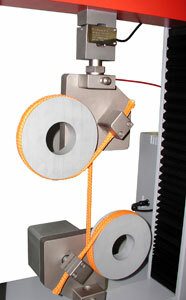 Clamping is provided by manual, pneumatic or hydraulic systems.